A simple way how to teach vocabulary boosts both reading and writing skills for kids. 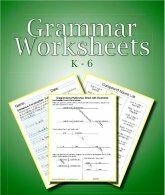 Add vocabulary lessons to your spelling class. Teach meanings of common affixes. Incorporate English grammar as you teach the meaning of spelling words, for example: it can be good to see the different grammatical forms of a word as we learn to spell it: can, canner, canning, canned, etc. Teach the children to make associations with related words. They'll be able to recognize and understand new words. Vocabulary skills blossom with the study of prefixes and suffixes. After learning to write the small base words used in spelling class, the easiest way for kids to learn to read and write longer words is to learn to use affixes. This matters in vocabulary class because different affixes affect the definition and use of words. Once a child can read the base word, he often marvels at seeing how easy it is to read bigger words by simply adding small parts. If you show enough of examples at a time, kids master word meanings as well as the spelling of their words much faster. Oh, what a joy when they realize that they can read big words and understand what they mean! I've seen an early 1900s superintendent of schools' opinion of spelling lists. He was not happy to see the new graduated level lists because he felt that the students should be able to skip words that they already knew. 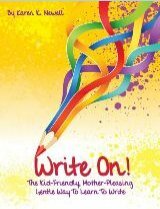 He thought that they should be keeping a personal speller of words that they have difficulty writing in everyday creative writing as with writing essays, etc. I think that it is an awesome idea that, once kids have a question about a word, whether its spelling or its meaning, you have them add the word to their own personal spelling lists with notes to help understand the definition of the word. Whatever note or picture that helps kids understand new words can help them remember how to spell the words. Making notes can help them remember both the spelling and the meaning. If your students already speak English, vocabulary in the early years is simple. If your students are learning English as a second language, let them make the associations in their native language. The whole idea is to make the association of the basics. Once the phonic sounds and phonics rules are learned, most of the skill of spelling is easy. Vocabulary adds the understanding of definitions to the skills learned in using spelling worksheets and helps make the connections necessary for reading comprehension. Teach the definitions of beginnings and endings by teaching prefixes and suffixes. An easy way to increase vocabulary is to teach the prefixes and suffixes that are most commonly used. Once a student understands the spelling and definition of the affixes, reading higher level words becomes much easier and he can build many more words from the words he already knows in his every day writing. When a new word comes up in reading or writing I have found it profitable to write the word on the white board, writing it in syllables. I also write the prefix to the left of the board in its own column and explain its definition and then I leave it there through the school year. The same goes for the suffixes. I write them again in a column at the right and leave them there to reinforce their use and remind of their definitions. This makes it easier to refer back to previously learned prefixes and suffixes with the simple move of my hand! Yes, I leave the affixes up all year. This way words are built and concepts are learned and reviewed in less time. Many words have the same spelling for different uses in a sentence. Grammar can be a great way to teach these differences. 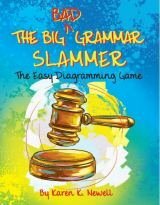 Another English Grammar element is the punctuation in a sentence. Sometimes the punctuation helps indicate the meaning of new words. For example, a word in apposition is usually a noun, etc. Prefixes - Prefixes are the prepositions or parts of words that can be added to the beginning of a word to change its meaning. Suffixes - Suffixes are the endings that change a base word's meaning. The easiest way how to teach new vocabulary words is to show the word and its new meanings with affixes separated into syllables on the board. From here the children can write the new words in columns to show the different endings aligned with the main or base word. Another idea is to make several cards of prefixes, several of base words, and several of endings that the children can use to form new words just like forming a new puzzle. You do not have to teach all the possibilities, most kids understand from a few examples. I really like Spalding's Word Builder cards for this. Each card has the base word plus its affixes with the explanations. When the children use the words that they are learning they'll remember them for the future. Younger kids can dictate stories to you so that you can help them spell the words, or so that you can write the sentences on the board for them to copy. One of the best ways to teach new vocabulary words is to have the kids write the words that they already know, yet watching that you help them "think" through writing the stories can be helpful, too. In phonics class they learn to think through the spelling of words, here they add thinking through the meaning of words and whether they make sense in a sentence or paragraph according to their grammatical use. Older children can often incorporate all their spelling words in a single short story. Encourage them to use other forms of spelling words when verbs or derivative words need the new spellings. A little work now can greatly increase their understanding later. In a word, there are many ways to teach vocabulary. It's the teacher's art to figure what helps the most children in the class. Every class and every year can be so different! Sometimes when we're wondering how to teach vocabulary, we wonder if the children will be confused, yet I really think that making the associations is best for native English speakers. This works in the lower grades and is also good for the higher grades. Take the word example above: bye. If one writes goodbye it is easier to remember the spelling of both the original word and the related word. Many times a good way to practice a word's spelling and meaning is to review related compound words. A better example would be complement and compliment. If we remember the related word "complete" we will remember that the word complement has the e in the middle not an i. 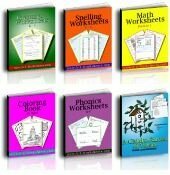 The spelling and Phonics Rules and our Spelling Worksheets are very helpful for teaching vocabulary, too.